Kinsmen Club of Terrace: 2009 Riverboat Raffle - Early Bird Draw Winner!! 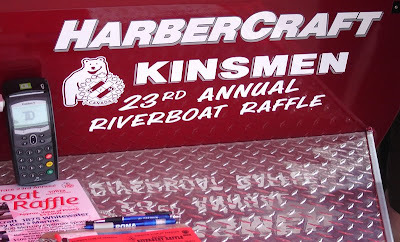 2009 Riverboat Raffle - Early Bird Draw Winner!! 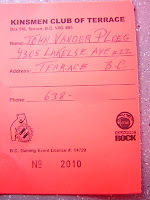 John Vander Ploeg, from Terrace, wins $1000 towards the purchase of any bike at McBike in Terrace. Thank-you to everyone who supported this draw early, but don't forget the main event is Father's Day, June 21.